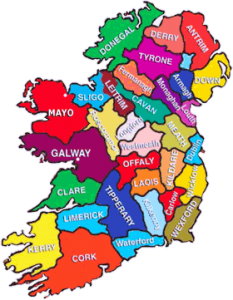 The purpose of this group is to help you in your Irish Research, by providing links and resource information, along with timely articles. We now have the Members Only area operational which will house the Celtic Quest articles and our Quarterly Newsletter. As we continue forward, we will be adding other sections which you as a member will have exclusive access to! This Members Only area can be accessed if you are a member of OGS itself and a member of the Ireland SIG and you can now sign-in here (right sidebar). This group is for you. Most of us are not experts, but together we can try to help our collective research for those elusive Irish ancestors. As much as we will try to provide information to you, we also expect you as a member to give us back information as well, be it in the form of resource links, articles for the newsletter, feedback (positive or negative), queries, etc. Check the Contacts section for addresses where to send what you have. Also, as members’ priorities change, from time to time we need to fill vacancies. Again check the Contacts section to see what positions need your help. We also have an active Facebook Group where you can see our latest posts and discussions. Please visit the page to join our group!